The Search Engine Academy in Europe enjoys a close relationship with its students. Listening to ideas and suggestions helps us to develop the best solutions and services. An integral part of this relationship is „Search Engine Academy“ firm commitment to privacy. 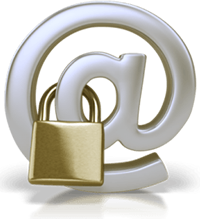 We take your privacy concerns seriously and want to make every effort to address them. Respecting our customer’s privacy has never been an issue with us. You can visit this site without telling us who you are or revealing any information about yourself. We value your business and trust, which is why you never have to worry about „Search Engine Academy“ using your name or personal information inappropriately. We will not sell, exchange, rent or loan this information, ever! However „Search Engine Academy“ continues to gather information from our customers on a voluntary basis through online fomrs. This data is very critical in helping us learn more about what our customers expect and demand from their „Search Engine Academy“ products, solutions and services. This means that any information we receive from a customer implies consent for our use of their information. „Search Engine Academy“ honors and follows the international guidelines of the Direct Marketing Association for Privacy Practices. We thank our customers for their trust. „Search Engine Academy“ acknowledges and supports our customer’s right to direct the use of their personal data and will maintain an “opt-out” option, which allows you to request the removal of your name from any mailing or telephone list.